90 Day Transformation to Pre-Baby Weight! Home/Success Stories/90 Day Transformation to Pre-Baby Weight! 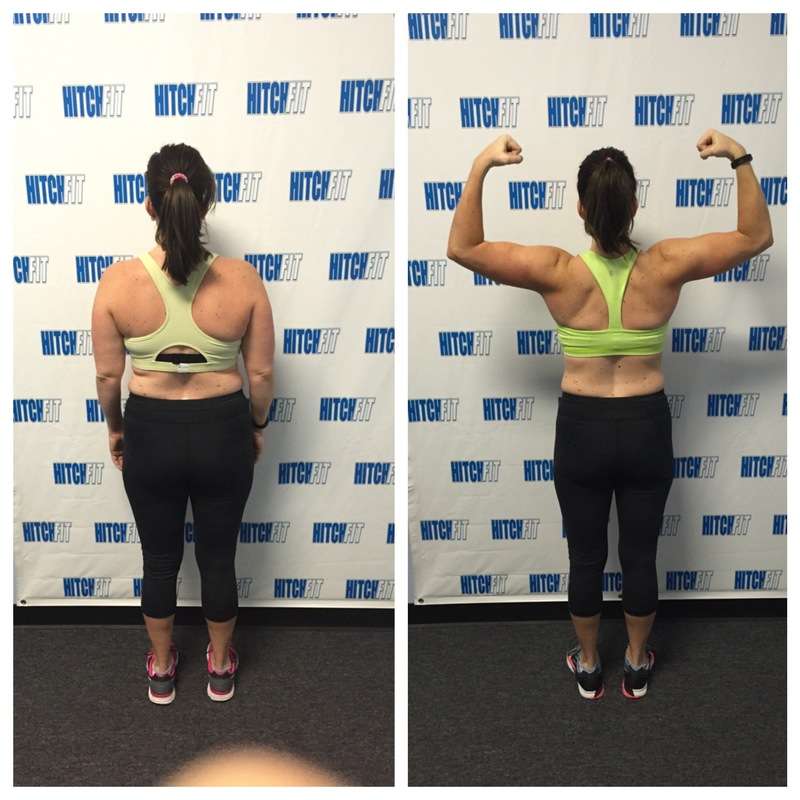 90 Day Transformation Gets This Hitch Fit Client to her Pre-Baby Weight! 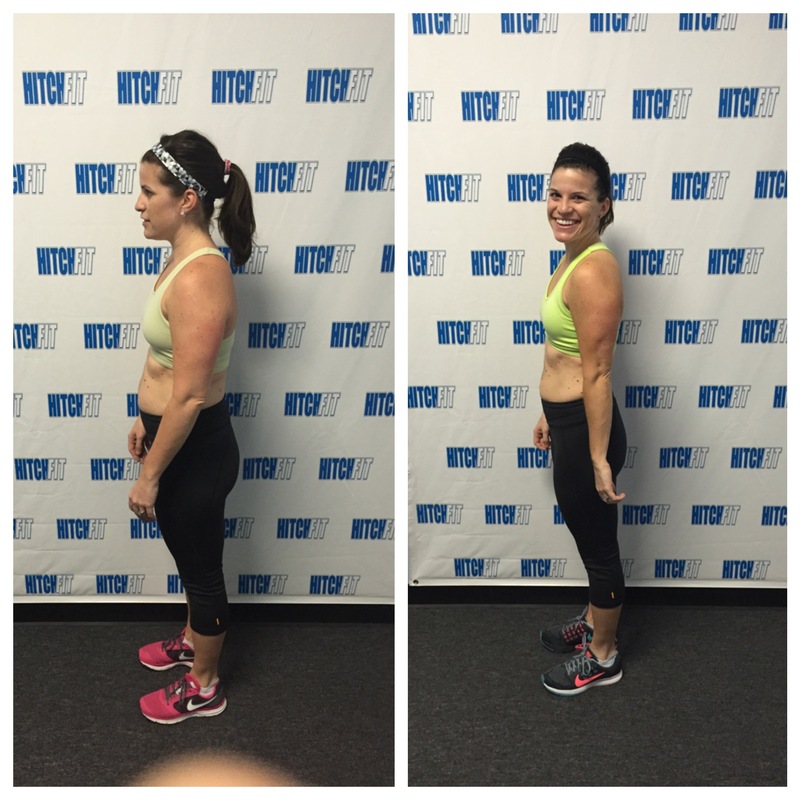 90 Day Transformation Plan from Hitch Fit Gym Overland Park helps this client get her Pre-Baby body back! 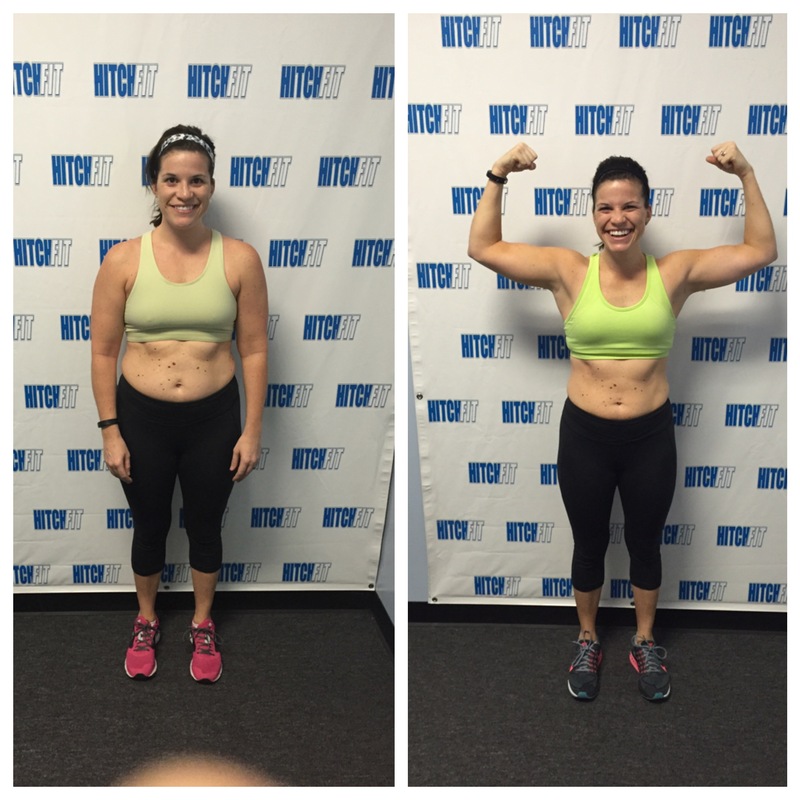 Change your body with a 90 day transformation at Hitch Fit Gym just like Kali did! 90 Day before and after transformation! “After having my first baby and struggling to get back to my pre-baby weight, I decided to commit, with my husband, to a 90 day transformation with Deron Gamble. I was determined to see change and ready to put in the effort, but I was nervous that I might not meet my goal to get back into my pre-baby clothes. However, because of Deron’s encouragement, the results were a great success. Deron met with both my husband and I, to build a plan that was specific to our individual goals and designed a meal plan that would work for both of us, making grocery shopping easy. He also worked with our schedules to make sure we didn’t miss a training session. Each workout was thoughtfully planned based on my fitness goals. Throughout the weeks he would touch base with encouragement that really helped hold me accountable. Are you READY for your Transformation with Deron Gamble at the Overland Park Hitch Fit Gym? If you are closer to our downtown/midtown Kansas City location at 3036 Gillham Rd, KCMO, then call 816-753-8900 to set up an appointment with one of the trainers there.